How often should you visit your local pump-out station? Q: How long can I go between holding tank pump-outs? I can see it being over two weeks easily between uses and only one or two liquid uses at that. Should I pump out each time no matter how little is the holding tank? As a rule, it is best to postpone holding tank pump-out until the tank is at least three-quarters full. With your use pattern, that could be some time in coming, but the tank does not suffer from having contents. The only real issue will be odor, and if the plumbing is done properly, that should be limited to around the vent. Excessive odor can also be reduced through the use of an odor-control additive. There are a number of well-regarded products for this, although some sailors just use water softener and detergent to deodorize and soften solids in the tank, perhaps chased with chlorine bleach to disinfect. 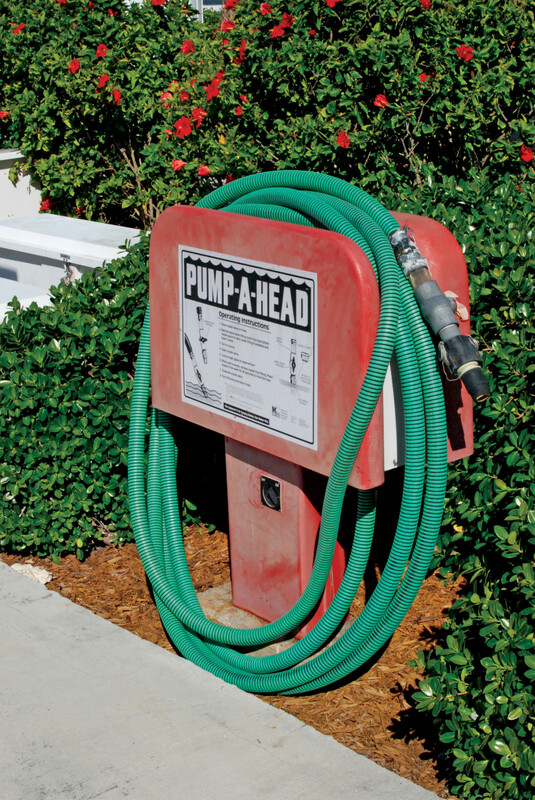 If you have easy access to free pump-out equipment, then I would fill the tank with water and pump it out once a month if it has seen use. However, if pumping out is inconvenient or costly, waiting longer should not be a problem. You can learn a lot about holding tank use from the RV people, particularly those who hang out for long stays in the wilderness.